Yara Shahidi's style keeps evolving every time I see her on the carpet and I am always here for it. She attended the 25th Screen Actors Guild Awards this evening(January 27th) at the Shrine Auditorium and Expo Hall in LA. 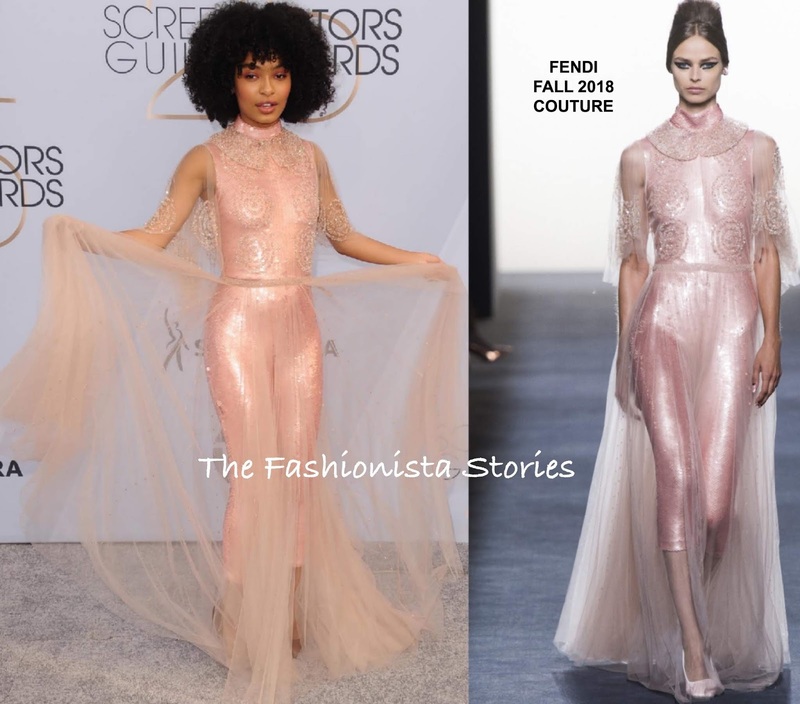 Yara's style is always unpredictable and I thought she delivered wearing this FENDI FALL 2018 COUTURE blush pink sequin beaded tulle dress with a pink sequin jumpsuit underneath. This is such playful, chic look for the young starlet and she worked it on the carpet. Also I am loving her natural curls here which topped off her look along with a selection of silver rings.